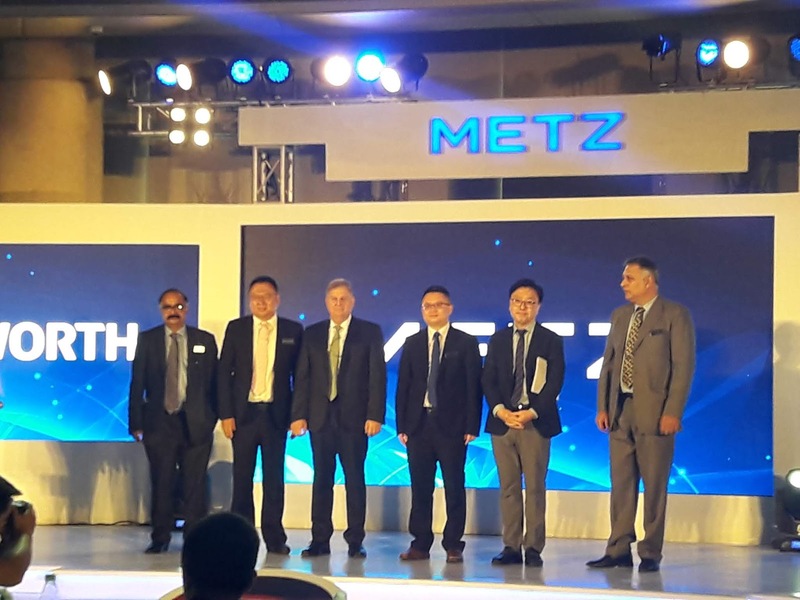 Metz, a Germany based consumer electronic company, acquired by Chinese behemoth, Skyworth Electronics, has entered the Indian market today. 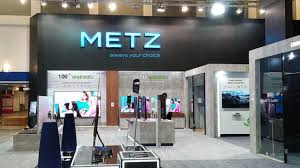 During brand launch of Metz, the company also introduced premium sets of television in OLED – 4K Android, 4K Android, Android and Analog categories. The company launched six models of TV sets - M65S9A-OLED 4K UHD Android TV, M55G2 & M43U2-4K UHD Android TV (Also Available in 50”), M40E6 - FHD Android TV (Also Available in 32). Metz brand televisions will be made available across different formats of distribution network. Along with Premium Models of Metz, the company also showcased its high end consumer goods such as Refrigerators, Washing Machines, Air-conditioners, Water purifiers etc. The company also announced that Metz brand has been acquired by Skyworth, Shenzhen based Chinese flagship company, the 5th largest maker for LED TVs in the world. Metz brand brings to Indian consumer high innovation, technologically advanced, with high quality engineered LED televisions, which include M65S9A, the premium model of OLED 4K UHD Android TV, powered with wide colour gamut, enhanced local dimming with subtle gradations and brightness. The TV is equipped with latest AI technology offering 500nits super bright panel and digitally enhanced picture quality. It is powered by Android 8.0 operating system with 16GB ROM expandable upto 128GB. The 65-inch TV allows users to access apps like Netflix, YouTube etc directly onto the TV. It features Home wind Front Mount speaker and also includes Wi-Fi, Google Play, three HDMI ports, and two USB ports for connectivity. Available in 65inch, M65S9A has been priced at Rs 2,98,490. The 4K UHD Android TV - M43U2, M50G2 and M55G2 are priced at Rs 48,990, Rs 54,790 and Rs 65,690 respectively. All of them are designed to provide smart user experience, allowing users to access all their entertainment content in one place. The model M50G2 and M55G2 are elegantly crafted with metallic design. The add on feature of these models are its Powerful 3D game Engine, bringing a game lover a smart viewing experience. Along with gaming, these models are equipped with entertainment apps such as Netflix and YouTube. The AI equipped TV sets, brings theater like experience with its richer sound for a stronger, rumble effect to the movies and games. It features Wi-Fi, Google Play, three HDMI ports, and two USB ports for connectivity. In addition, the company also unveiled HD Android TV which is available in both 32 inch and 40 inch panel. The M40E6 model offers Full HD viewing experience whereas M32E6 is and HD TV. Equipped with thundering sound, clear picture quality and giving vibrant colors, these models are a smart entertainment package. The new TV range is designed simple and elegant providing a seamless transition from one scene to another. In terms of connectivity, the TV offers three HDMI, one USB and produces 8*2W RMS audio output. Add on feature, Dolby technologies bring the television a new era of quality sound. The 32 and 40 inch TV is available for Rs 29,790 and Rs 35,990 respectively. Metz Brand also Launched Smart Home Appliances, with Unique Features, Integrated with its Advanced Technology Television. Bundled with precise picture, colour quality, simple look and easy-to-use smart features, the new range allows consumer to access all content in one place. Please find below the specifications of the models.